One of the immutable laws of life that every parent should impart to their children is that things can go badly in a heartbeat. Think about the tragedies, the wrong turns, the misdirections you've experienced. Did they occur in slow motion, or did they hit suddenly, when you least expected it? The answers to those questions are presented affirmatively with respect to the latter in 15 SECONDS. "Andrew Gross is known for presenting fast-moving, page-turning thrillers to his legions of fans. 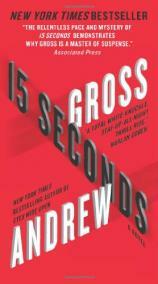 15 SECONDS is no exception, setting another highwater mark for Gross as well as for thriller novels in general.... While it will take you longer than 15 seconds to read Gross’ latest work, you won’t notice the passage of time at all." Andrew Gross is known for presenting fast-moving, page-turning thrillers to his legions of fans. 15 SECONDS is no exception, setting another highwater mark for Gross as well as for thriller novels in general. 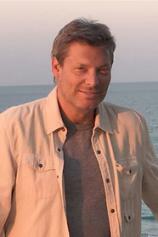 Henry Steadman is an extremely successful plastic surgeon with a practice based in Fort Lauderdale. His life isn’t all nip/tuck, though. While Steadman enjoys reaping the bounty of his career, he also gives back to the world, devoting a significant portion of his time to Doctors Without Borders and the like. Upon his arrival in Jacksonville, Florida, to attend and address a medical conference, he expects to do nothing more than grip and gab, hit the links with an old friend, and maybe get lucky with a ship passing in the night. He gets none of the above. Steadman’s 15 seconds of dramatic downhill time begin when he is pulled over by a policeman for a minor traffic infraction. The officer starts to write him up, and when he raises some mild but by no means outrageous objections, he finds himself in cuffs and threatened with incarceration. Things settle down, and it looks like Steadman will get off with a warning. But then the officer is inexplicably murdered by a drive-by shooter. Steadman is blamed for the killing and immediately finds himself on the run. Plus, he quickly becomes a suspect in another murder. Things go from bad to worse when he receives an anonymous call telling him that his daughter has been kidnapped. It is obvious to Steadman that he’s being set up and that someone has a serious grudge against him. But who? And why? How have they been able to monitor his movements? And how is he going to rescue his daughter and prove his innocence when he has no idea who is framing him? Fortunately for Steadman, he manages to find one person who has just enough doubt to give him a tiny bit of benefit. In a pursuit that goes from Florida to Georgia to North Carolina and back again, Steadman and his unexpected ally forge an initially uneasy and long-distance partnership that, with a combination of doggedness and old-fashioned detective work, will lead them to the individual who is pursuing a twisted but brilliant vendetta against Steadman, while his daughter’s life hangs in the balance. I confess that I initially thought Gross had possibly painted himself into a corner with the book’s mystery element, but the ultimate explanation of who is doing what to Steadman is true to life and ingenious. If you were going to really put the hammer to someone, this would be the way to do it. Steadman’s first-person narration, describing how his life goes to hell via a greased chute, lends immediacy to things as he races against time to save his daughter and salvage his reputation, pulling the reader along for the ride. While it will take you longer than 15 seconds to read Gross’ latest work, you won’t notice the passage of time at all.